On behalf of all the Governors welcome to this website where I hope you will get a taste of all the amazing things that go on at Hillview School for Girls. We firmly believe in the pure potential of every student. Due to their efforts and our incredibly dedicated, enthusiastic and talented staff, our students develop, mature and discover their talents, leaving education with the skills necessary to thrive and contribute to the rapidly changing world of work. “Inspiration, Innovation, Independence and Inclusivity” underpin everything that we do here and are the guiding principles for all members of the school community: staff and students alike. The Governing Body is made up of parents/carers, staff, members of the local business community, education professionals and others wanting to contribute their time and skills to the school. We welcome everyone’s involvement in school life: the support given by attending parents’ evenings, joining the PTA, coming to as many of the wonderful school events as you possibly can and sharing with us any thoughts or ideas you may have. As a Governing Body we have three key responsibilities: (i) strategic leadership; (ii) holding the Headteacher and the Senior Leadership Team to account; and (iii) overseeing the management of the school’s finances to make sure its money is well spent. As “critical friends” the Governors work very closely with the Headteacher and Senior Leadership Team supporting and challenging them to deliver what one parent described as our “complete package”: excellent academic and teaching facilities combined with brilliant pastoral care. Governors’ work is done through full Governing Body meetings, committees, twice monthly sessions between myself and the Headteacher, attendance at staff training days, parent evenings and regular visits to the school under our Link Governor system. The best bit of all, of course, is attending as many of the wonderful school productions and events as we can: the annual production, dance workshops, fashion shows and art exhibitions to mention just a few. You can also follow the links below to read annual reports on specific activities undertaken during the year (together with other relevant documents). Sue retired three years ago after a twenty year career as a commercial lawyer turned business negotiator with a City-based management consultancy specialising in outsourcing. Sue became a Governor of Hillview in January 2013. Since then she has Chaired the Finance Committee, held the position of SEN Governor for two years and became Chair of Governors in September 2014. Nick joined the governing body in January 2015. He has been a qualified solicitor since 1989 and is a partner and member of Thomson Snell and Passmore, a leading South East law firm based in Tunbridge Wells and Greenhithe. His specialism is employment law and he leads the four-strong team of employment lawyers. He acts for many education businesses, from academies to private schools and also acts for charities in the health and social care sector. He is a recognised leader in his field. Tim is a partner in RPC a law firm based in St Katharine’s Dock, London with offices in Hong Kong , Singapore and Bristol. Tim is also the Chair of TerraLex , a major international law firm network comprising 150 law firms and more than 15,000 lawyers. Tim’s practice covers international trade disputes and he has experience in the education sector acting for teachers unions and independent schools. Neither of Tim’s children have followed him into the law, his daughter works in fashion and his son is in the music industry. It is the performing arts focus of Hillview which attracted Tim to become a governor and he hopes what he has learnt in the management of a professional services organisation will be of assistance to Hillview. Mervyn works both locally and in France and Switzerland as a home improvement contractor. He is also a Magistrate on North Kent Bench where he Chaired the Bench Training and Development Committee until this year. Mervyn’s three daughters were students at Hillview and he has a keen interest in school improvement. He was also Chair of Hillview School Parent Teacher Association for six years. Sara has been a governor at Hillview School for Girls for more than 10 years, initially as a Parent Governor. Before moving to Kent, Sara ran a hotel business in Devon. A great supporter of the school, Sara’s expertise of Post-16 pathways is a good knowledge-base for her colleagues on the Governing Body, having been in further education for over 20 years. Joining the Governing Body in September 2016, Fiona has held a variety of roles across the education sector. 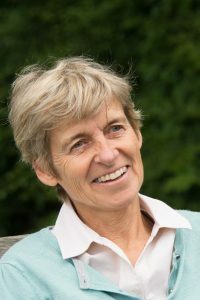 She currently works in marketing and recruitment at the University of Kent and also has experience in the further education sector, as chair of a pre-school and clerk to the governors of a secondary school. Her particular interest is how to extend education to all parts of the community, whatever their age and circumstances. Simon Heller has recently joined our Governing Body as a Parent Governor (September 2016). Simon has a BA (Hons) in Business Studies and has spent his 25-year career in senior marketing and general management roles, primarily in the film entertainment and media sectors, as well as recently as Marketing and Communications Director at the British Video Association. He has sat on many panels and committees within his commercial roles and has a practical business approach which will benefit the school with their activities and future projects. Josie has 10 years experience in the events management and conference production sector, most recently as the Global Conference Director for Marcus Evans, managing the Capital Markets and Energy teams. Prior to this she graduated from St Peter’s College, Oxford University with a BA in Geography. Josie is now putting her Geography knowledge to good use as a teacher at Tonbridge School. Nick is an ex-banker and a learning and development professional. He is now retired, having worked in the City for nearly 40 years for a number of financial services organisations, including Merrill Lynch, Prudential Assurance, KPMG and Barclays Wealth at an international and senior management level. He ran his own Management Consultancy business for ten years helping people and organisations to become better at what they do. Nick acts as an adviser to an educational charity – Our Moon Education. He is also an actor, singer/songwriter and poet and will be standing for public office at local elections in 2019. Victoria (Tori) has been teaching Biology and Science since 2005 and recently joined Hillview in Easter 2018. 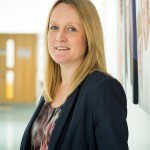 Having only been here a short time, she was promoted to Curriculum Deputy for Science in July 2018 and is the main teacher for Year 11, 12 & 13 Biology, as well as other classes lower down in the school. Yemi is passionate about Strategic Asset Management, FM service improvement and transformation. He is an advocate of the value of life cycle costing and champions the importance of understanding an organisation’s business drivers when seeking to establish a long-term strategy for the financing, constructing, operation and maintenance of property assets with a focus on technical and investment risk and value management. Yemi recently joined as Governor and intends to apply his strategic, technical, operational and leadership skills to ensure positive results for Hillview School who place a high premium on value and achievement. Rob has been a qualified accountant since 2011 and works for a national accountancy firm in Tunbridge Wells. He works with a number of charities, from academies to independent schools and those within the medical and healthcare field. Eva has a First Class degree in English Literature and Religious Studies. She has worked as an English teacher for over twenty years. She currently works as a Learning Support Assistant as Sackville School in Hildenborough. She lives in Hadlow with her husband, her son and her daughter who attends Hillview School for girls. She wants to work with parents, teachers, the Headteacher and other Governors to help drive the continued improvement needed to provide Hillview students with the best chance of success.